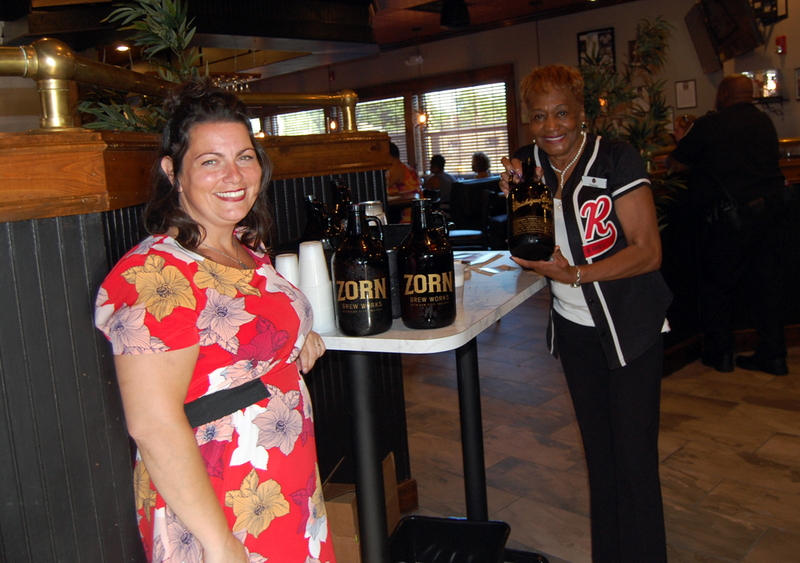 R&R Sports Bar & Grill’s grand opening Monday evening was a show and tell on a grand scale. The hundreds of invitees who attended the ribbon cutting also got a chance to sample Caribbean jerk and American classic dishes in the new restaurant at the Gary RailCats Baseball Stadium. It’s in the former Bennigan’s. Don’t mistake it with the numerous bars with the words ‘sports’ and ‘grill’ tacked on to their names, more for effect than substance. This one has the bona fides, sitting on the 2nd and 3rd baseline of the RailCats diamond. 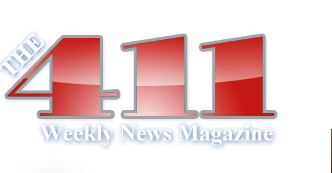 Wine and beer tastings, samplings from their surf and turf menu, chicken & waffles, barbecue, and pizzas sent out a notice that the city’s food and drink offerings have taken a gigantic leap forward. The restaurant showcases memorabilia of famous sports legends from northwest Indiana, including high school teams. 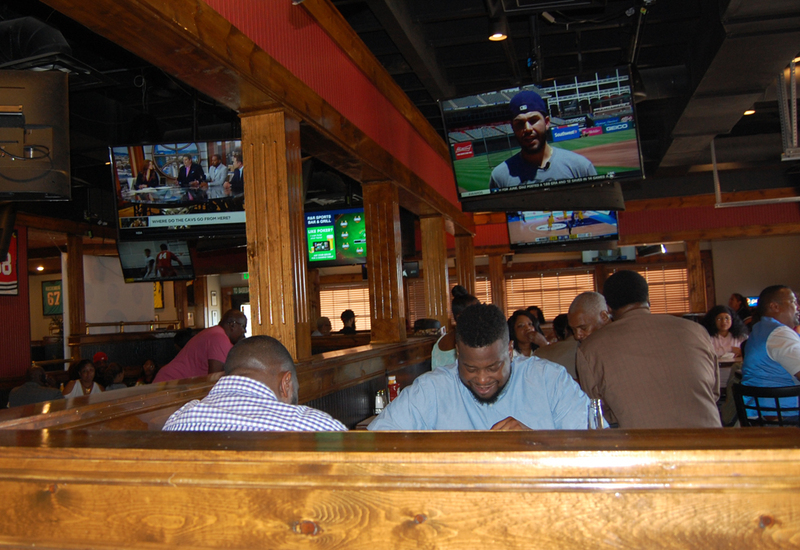 Throughout the seating areas, high definition television screens show sports events. 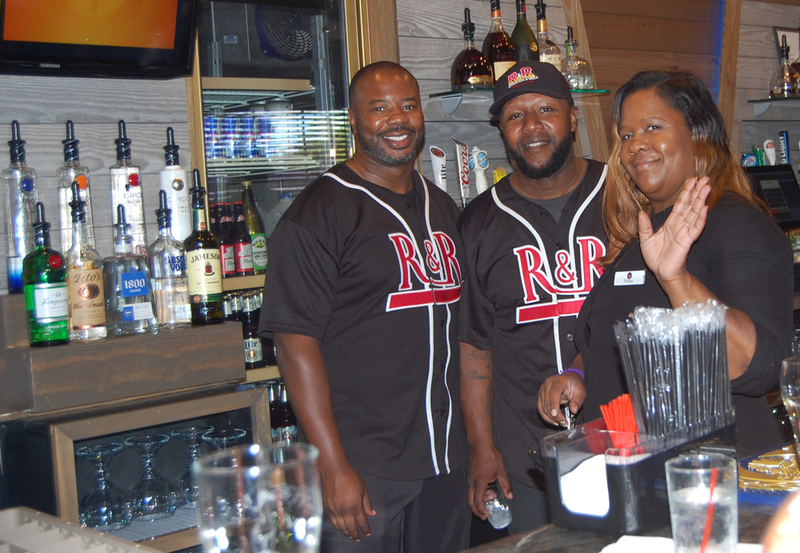 Detrick Ross and Dwayne Rancifer, owners of R&R Sports Bar & Grill also operate R&R Caribbean Jerk in East Chicago. Ross and Rancifer signed a 5-year lease with the RailCats Baseball team to operate the restaurant.